Here's a confession...Until this past Christmas, I've never knitted a men's sweater. 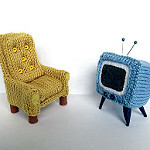 I think I've knitted nearly anything else you can think of, but never a men's sweater. Anyone who knows me knows that I'm not one to believe in curses. So for as long as I've been a knitter, I've shrugged at mention of the Sweater Curse. 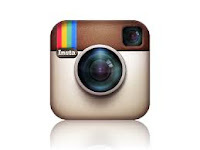 And obviously, there are thousands of men at this very moment wearing sweaters lovingly knitted by a woman they love. No, my reason for avoiding men's sweaters is simple...they take SO long. And the yarn is expensive. 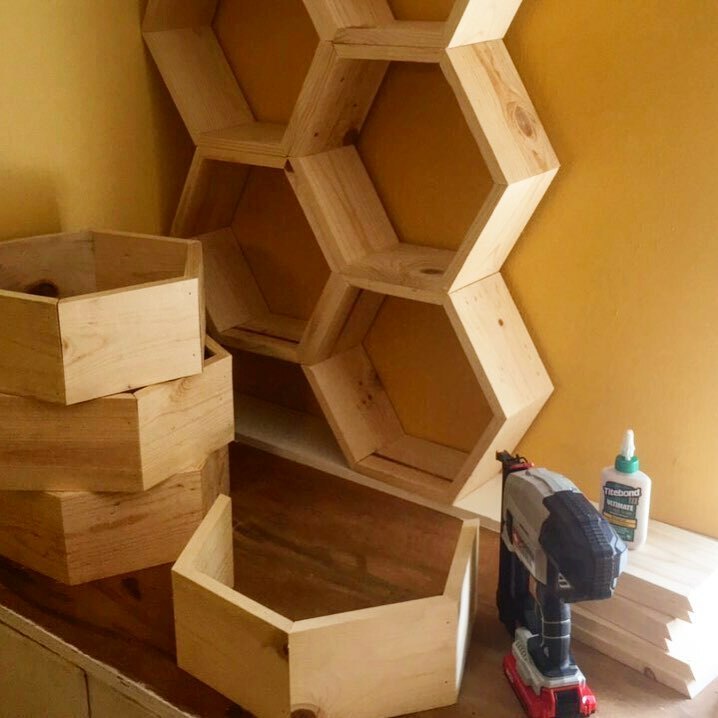 And then all that work, and what if it doesn't fit? Too risky! But then this Thanksgiving, I came across the most marvelous knitting book, for only $.01! And I had to have it. 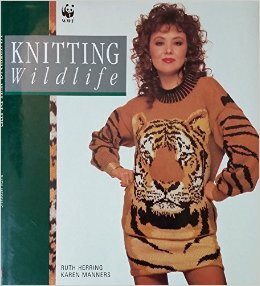 Knitting Wildlife by Ruth Herring is an amazing compilation of some pretty radical wildlife themed patterns, straight out of the 80s, and modeled by an interesting assortment of British celebrities. But the cover photo is what caught my eye. 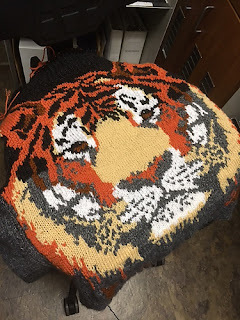 I'm a sucker for elaborate color work, and that tiger was basically begging me to knit him. 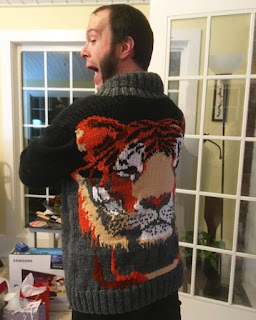 That's when it occurred to me, maybe I should knit my husband a tiger sweater. It was a risky idea. I knew it would take a lot of time and yarn, and here it was already Thanksgiving, and I still had half a dozen other gifts to knit on my to-do list. Plus, I would only be able to work on it when he wasn't around. But I threw all that aside and jumped in. 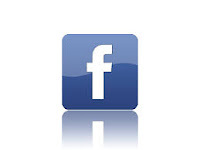 First, I decided that despite the loudness of the design, it to be at least somewhat useful. 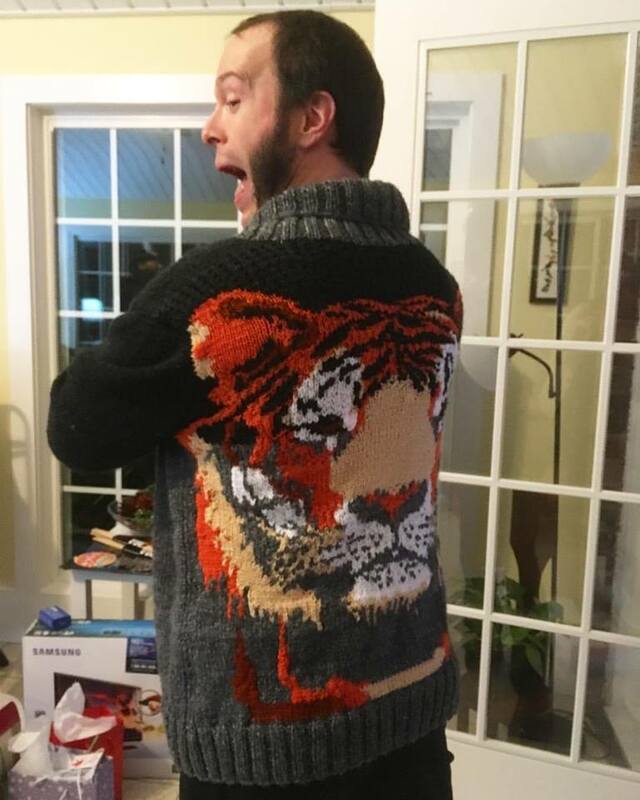 So I decided to convert the men's tiger pullover into a cardigan, with the tiger on the back. From the front Dave would look like a cute librarian, but from the back...BOOM. TIGER. Second sign that this idea was brilliant was that I didn't have to buy any yarn! It turns out such elaborate color work could be easily accomplished from my endless stash. And I always have a few dozen skeins of worsted weight neutral colors around. I landed on a two-tone background of black and charcoal. I chose Emilie Luis's Marcel pattern for the cardigan. Now I can not wait to knit more sweaters. Next Christmas, I might dress the entire family.